Im trying to stay busy these next few weeks. Lucy and I went on an adventure to the promenade today to do some walking around! 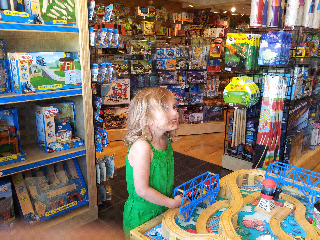 We stopped in a shop to play with the train.